In China, lower-tier cities refer to big non-provincial capital cities, county-level cities and counties. This is a huge potential market for mum and baby products. Kantar Worldpanel China’s National Mum and Baby Panel covers tier-1 to 5 cities across 20 provinces. From the lower-tier cities within our baby panel, there are 3.94 million babies born in 2017, more than that in whole United States. Within our baby panel, 60% of babies younger than 3 years are living in lower-tier cities, while 49% of mum and baby product sales are from lower-tier cities. According to our research, per consumer spending in lower-tier cities on baby products is only two-thirds of that of upper-tier cities, but there is huge room for growth. The total sales growth for the whole FMCG market, for example, the compound annualized growth for upper-tier cities was 4.4% from 2012 to 2017, while it was 6.1% for lower-tier cities. For leading brands in mum and baby categories, there are lots of white spaces to be occupied. 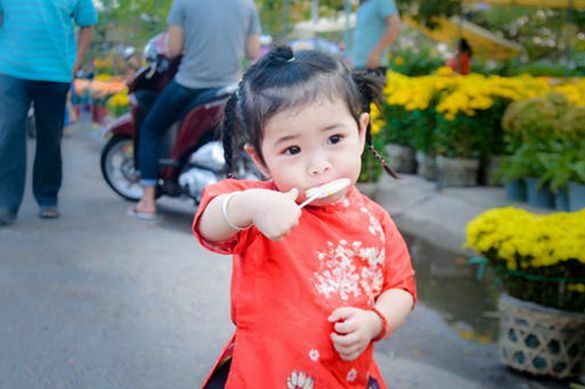 In infant milk formula, baby diaper and baby toiletry categories, for example, leading brands still don’t command as big shares as they have achieved in upper-tier cities. Parents in upper- and lower-tier cities have different income standards and living environment, but their willingness to invest for their kids are almost identical. In addition to the necessary products, such as infant milk formula, baby diaper and baby food, lower-tier city parents are as ready to buy into more sophisticated categories as their counterparts in bigger cities, such as wipes, baby dental care products, breast pump and baby tableware utensils. Lower-tier city parents aren’t automatically low-end brand buyers either. According to Kantar Worldpanel data, their buying price is almost the same as parents from upper-tier cities, especially in infant milk formula and baby food categories. In the infant milk formula category, they prefer domestic high-end brands, such as the premium brand Feifan under Chinese company Feihe. The unit price for its stage one formula is 526 yuan per kilogram (price on JD.com), much higher than similar products from Wyeth (398 yuan per kilogram) and Abbott (466 yuan per kilogram). Mothers from lower-tier cities are frequent e-commerce, or even social-commerce buyers. Among the lower-tier city mothers within Kantar Worldpanel’s monitoring network, 59% of them have bought baby products online, while 18% have bought from through WeChat. 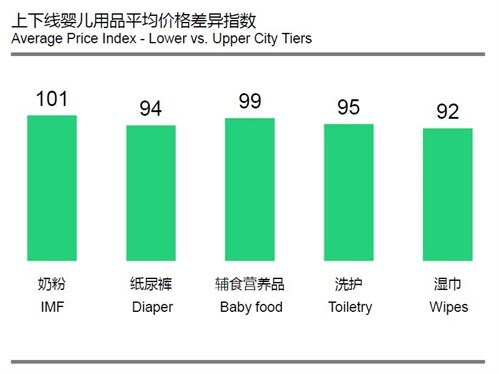 In baby diaper and infant milk formula categories, the penetration of WeChat shopper is higher in lower-tier cities as compared to upper-tier cities. Chinese brands are already taking advantage of this emerging new channel. According to Kantar Worldpanel data, Shenzhen-based Care Daily company has achieved 62% of its lower-tier city sales from WeChat. Then, what’s the right approach to win in lower-tier cities? In lower-tier cities, 71% of mothers start to learn about baby products no later than six months into pregnancy. Among all reasons for choosing a diaper product, lower-tier mothers care more about soft material (lower-tier 37% vs upper-tier 35%), good absorption (32% vs 24%) and reasonable price (17% vs 14%). When choosing infant milk formula, lower-tier mothers would rely more on family recommendation (32% vs 30%), special ingredient (24% vs 22%). They don’t care so much about source of milk. (32% vs 36%). This is closely related to their relatively limited information sources on this subject. Compared with upper-tier mothers, those live in lower-tier city would rely more on child care expert and doctors to learn information and build up knowledge. Baby stores are more important in contributing to sales in lower-tier cities – in west region, it even accounted for 43% of all sales. The concentration level is still lower: the top 10 store chains accounted for 24% of all baby store sales, while the highest is only 30% in west region. Omni-channel shopping, the convergence of online and offline shopping, is the major trend in China. Mum and baby product, which is an “early adopter” of e-commerce, has witnessed many successful omni-channel shopping cases. Aptamil has worked with omni-channel mum and baby product retailer Kidswant to capture targeted audience profile, and leveraged the insights to optimize its media spending on Tencent. Mead Johnson has partnered with JD.com to leverage the latter’s nationwide logistics network to help distribute its products to baby stores in lower-tier cities. Kantar Worldpanel’s baby panel provides continuous insights into how purchase patterns change at different stage of babies’ development and the distribution channels including modern trade, e-commerce, baby stores and gifts, which will help our clients to enhance their sales within the baby sector and stay a step ahead of the competition. Kantar Worldpanel set up our China baby panel with a sample of 6,000 young mothers across China’s 1-5 tier cities and panellists remain on the panel until the babies reach the age of 36 months.